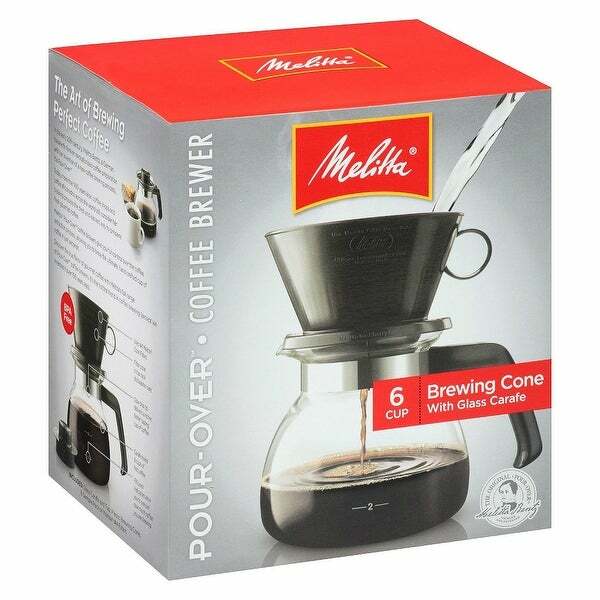 The Melitta 640446 Manual coffeemaker has a smart design that occupies less space, and is made of premium quality plastic and glass, which makes it sturdy and durable. This coffee maker is sized to make six full cups of coffee at a time. The glass carafe with plastic top keeps coffee hot and features cool plastic handle making it easy to hold when full of hot coffee. This Coffeemaker uses number 4 paper filters and serves as an ideal second pot. It allows for easy cleanup and the filter cone is top-rack dishwasher safe for added convenience.